HAASS: Particularly in your case. It’s worse than nothing. So don’t even think about it. Benn is a very rare breed. He’s an economist who can write. (Laughter.) And he’s an economist who writes well. And he’s basically something of a one-man cottage industry of economists who write about history. And they knit together the economic, the political, historical in a way that’s readable and accessible to those of us who are not economists. His previous book on the Bretton Woods institutions and the diplomacy after World War II was extraordinarily well-received, and for good reason. And this new book, which is—what’s the technical pub date? HAASS: Happy publication day. Already Paul Kennedy, who I think is one of the great historians of this or any era, basically has lauded this book, used adjectives like the word “brilliant,” which is hard for the rest of us to state with equanimity because it’s never used to describe our books. (Laughter.) But it’s—but—and there’s lots of, I confidently predict, good reviews to come. Let me say something about the Council at the moment. As wonderful as this book is, and I really do urge you to not just buy it but to read it, it’s part of a larger set of works that we’ve got going because over the last few years we’ve made a conscious commitment to promote books of history that we think have real meaning and lessons for where we are in the present. In the last couple of months, we’ve published two others, one by Josh Kurlantzick called A Great Place to Have a War. And it’s about the American experience in Laos. And most recently we published Max Boot’s book The Road Not Taken, which is about Edward Lansdale and what might have happened had he been heeded more than he was in the American experience in Vietnam. And now we’ve got Benn’s book. And we are—we’re just really proud and excited about this—about these works that are coming out. Benn was over-educated at Oxford with multiple degrees. He’s a senior fellow here and directs the international economics program. He edits a magazine with all sorts of squiggly lines in it that I don’t pretend to even read, but it comes into my inbox, so I thought I’d mention. So, sir, congratulations. HAASS: You’re welcome. Why another book on the Marshall Plan? What led you to do it? STEIL: This was a book I decided to write when I was getting to the end of my previous book on Bretton Woods. It played a cameo towards the end. HAASS: It had a Hitchcock moment? STEIL: (Laughs.) A Hitchcock moment. I had an epiphany once I got to this Marshall episode that I was basically writing about a compete repudiation of everything I had been writing about over the past 300 pages. And I decided, you know, this is probably worth a new treatment, because having written the Bretton Woods book, which was very much a story about how the Cold War is beginning to percolate, it was clear to me that the Marshall Plan was a Cold War story and should be told as a Cold War story. HAASS: Let’s just set the stage, because not everybody was present at Harvard that day hearing the commencement speech. Just take two minutes or three minutes to sort of talk about the origins of the Marshall Plan, the bureaucratic politics. Just how did it come about? Because, like a lot of things that in retrospect may look somewhat obvious, it was by no means obvious at the time. STEIL: By legend, of course, Truman had a very different outlook toward the Soviet Union, and he consciously abandoned FDR’s one-world vision for a cooperative post-war order. And he set out really to create a Cold War. And it was nothing like that. Truman was actually fully determined to implement FDR’s foreign policy vision. He was determined to bring the 3 million troops home from Europe within two years after the war, which is what FDR had told Stalin that he would do at Yalta in February of ’47. But over the course of ’46, he realized that it wasn’t going to be this easy, that Stalin was going to push to expand his borders and influence as far as Truman would let him. STEIL: Who would have thought, you know, other people in government could have good ideas? But it actually came from the military. People like Secretary of War Henry Stimson, Army Secretary Kenneth Royall, Jim Forrestal, who was a hawk’s hawk. All of them agreed that it was a political necessity to bring the troops home, that the public would not tolerate a lengthy occupation. So they started grasping for ways to use—forgive me—America’s soft power. I know you’re not always fond of that. HAASS: No, I’m fine with it. STEIL: And economic leverage was the most sensible thing to grasp for, because in the immediate postwar years the United States was as dominant, economically, in the world as it had ever been or has been since then. We accounted for about 50 percent of world manufacturing output, for example. And so using our economic leverage seemed like by far the most effective tool to counter this Soviet conventional force dominance in Europe. That is, we would have been foolhardy to try to challenge the Soviets militarily, at least not using atomic weapons. So here was an opportunity to put our economic strength to good diplomatic use. HAASS: What was the price tag? STEIL: In the end, it came to $13.2 billion. HAASS: In then-money or today-money? STEIL: In that money. In today’s money we’re talking 135 billion (dollars). But, and this is important to recognize, as a percentage of American GDP at the time, we’re talking $800 billion. So this was a—this was a significant investment. HAASS: That’s a couple of days’ worth of deficit now. (Laughter.) How much—how much resistance was there to it, based on the idea that it was time to focus on rebuilding America, if you will, on American first? How many people pushed back either in the executive branch or, even more obviously, in Congress? STEIL: Enormous resistance. In early ’47, it was almost impossible to imagine something like this. Truman, of course, had—faced a hostile Republican Congress. They not only disliked him politically, but they were very conscious of the fact that he didn’t deserve to be in that place. And they were just waiting for their opportunity to take the White House. They wanted tax cuts. They wanted their peace dividend. We had already dedicated an enormous amount of money to foreign aid—almost 13 billion between 1945 and 1947, but most of it funneled through an U.N. organization, UNRRA, that was seen as being totally ineffective. So Congress was absolutely in no mood for a massive foreign aid program. HAASS: And this is where Vandenberg became so essential. STEIL: George Marshall, who was critical to the passage of the Marshall aid legislation—interestingly enough, he never referred to it as the Marshall Plan, always the European Recovery Plan. HAASS: How did it become—was it—who—was it the press? How did it become known as, quote, unquote—and did that bother Truman? STEIL: No. And in fact, quite the opposite. Clark Clifford, who was one of his primary political advisors, said: This is a wonderful thing that Marshall is doing. By the way, Marshall forgot to show Truman a draft of his Harvard speech. (Laughter.) That’s how he explained—he said, it was a terrible oversight on my part. Truman had no involvement. But Clark Clifford realized that, hey, we could work with this. And he told Truman: We’re going to call this the Truman plan. And Truman said: You’ve got to be out of your mind. (Laughter.) You submit anything to Congress called the Truman plan, he said, it’ll twitch a few times and go belly-up. (Laughter.) He said, we’re going to call it the Marshall Plan. That’s the only way we’re going to get it through. So Truman had a great political sense and knew that he had to latch onto Marshall’s reputation. But without Arthur Vandenberg, who you mentioned, there’s no way this thing gets legislated. In fact, Marshall said that Vandenberg should have had his name on it. HAASS: The other thing that was really interesting is this was a commencement talk. And like all good commencement talks, it was known for its brevity. (Laughter.) No one, by the way, has ever complained that a commencement talk was too short. So I have two questions about it. One is, did Marshall and the others realize just what they were launching? Or were they somewhat surprised that this took on so much weight? Which leads me to the European dimension. When the Europeans heard this, how did they—how do I put it—they were quite creative in how they ran with it. They made a lot of what was not so much. STEIL: Yeah. Marshall and the other architects—Dean Acheson, George Kennan, Will Clayton—a man whose name is pretty much forgotten and it’s a terrible shame. He deserves enormous credit for the Marshall Plan. He was really, in my view, the father of the European Union. He dragged the French into the idea of European political and economic integration kicking and screaming. They knew exactly what they were doing. But it was Marshall who insisted that the presentation be extremely low-key. He wanted the ideas to percolate for a while. He didn’t want big, splashy newspaper headlines. And he didn’t get them. They were boring as hell the next day. I mean, nothing. HAASS: Just out of curiosity, what was the—what were the students—what was the crowd reaction at Harvard? I mean, I realize they didn’t protest, but what was the reaction out there? HAASS: I didn’t know that. And Bevin ran with it. STEIL: Oh boy, did Bevin run with it. He understood immediately the significance of this. He immediately called his French counterpart, Georges Bidault. Bevin, for those of you who don’t know about him, is a self-educated man. He sometimes called Bidault bidet. (Laughter.) He had no idea how to pronounce his name. But he said: We’ve got to do this together. And their first great diplomatic act was to then invite Molotov, the Soviet foreign minister, to Paris for talks, with the aim of getting him to walk out. HAASS: And was that orchestrated or choregraphed with the Americans? HAASS: So could they—one of the—I would think, when people read and write about your book, that gets to the heart of what will be one of the most, if not the most, controversial piece of your book, that the Marshall Plan, in your view, essentially helped launch the Cold War, and helped contribute to what ultimately became the division of Europe. HAASS: (Laughs.) Well, it’s too late now. (Laughter.) What would have—out of curiosity, did any—were they confident that the Russians would have walked away? And to do a little bit of counter-historical, if the Russians had been somewhat more clever and said: This is very interesting. We’d like to participate in this, and all that. What would have happened? STEIL: They could have destroyed it. If Stalin had been a little more clever and had played along, he could have destroyed it, because there’s no way that Congress would have legislated it with Russian participation. But the reason he didn’t in the end was that he was so concerned—I wouldn’t say paranoid, because paranoids have enemies—he was so concerned that his satellites would buy into this that he just couldn’t afford even to play along. Initially, Molotov actually told the satellite governments to participate in discussions with the French and the British, for the purpose of orchestrating a walkout. But then three days later he changed his mind, because the Czechs were so enthusiastic about this thing that he didn’t believe that they’d actually walk out. So that’s why Stalin walked away from it. The reason I say it’s the beginning of the Cold War is that it’s only after Marshall’s speech that both the Soviets and the Americans decide that it’s time to abandon the Yalta-Potsdam framework for cooperation in Europe, and for each to pursue its interest unilaterally. And to give you an example how significant this is, just two weeks before Marshall’s speech—I found this in Soviet archives—Stalin actually directs the Soviet delegation to reach agreement with the Americans on the creation of an interim unified government in Korea. And after Marshall’s speech, of course, he ceases all cooperation. But not only that, he cracks down all over Eastern and Central Europe. People don’t often remember this now, but there were coalition governments, of sorts, in Central and Eastern Europe—in Poland, Czechoslovakia, Romania, Bulgaria, Hungary. And Stalin was willing to tolerate quite a bit of the deviationism, provided you did not challenge Soviet foreign policy priorities. And of course, the Marshall Plan threatened that. HAASS: I want to circle back to two other controversial things you say, besides the idea that the Marshall Plan in some ways contributed to the division of Europe and the Cold War. The second is the argument that, to some extent, the Marshall Plan was a failure. You, yourself, said a few minutes ago that one of the arguments for it put forth by the military is if we do this it will diminish dramatically the need for American troops, millions of them, to hang around Europe for the future. And that’s just what they did. STEIL: That’s just what they did. And I should emphasize that we leveraged our atomic monopoly. It only lasted until August of 1949, but of could we—the Soviets had a massive conventional superiority in Europe. But Kenneth Royall actually told Congress: If you don’t pass this Marshall aid legislation, I’m going to demand an immediate 20 percent increase in the military budget because this is how seriously we need an initiative like this from a security perspective. But a key component of the Marshall Plan was to force the Europeans to integrate economically and politically. And this was extremely sensitive in Paris and London, particularly in Paris, because the French were actually just in ruthless in ripping up Germany as the Soviets were. They wanted their reparations. They were bringing plants back from Germany. And the Americans turn around and say: We’re abandoning the so-called Morgenthau Plan for deindustrializing Germany. We’re going to make Western Germany into the industrial engine of the new, integrated Western Europe. And you’re going to—you’re going to participate in this. And they said, well, that’s ridiculous. We can’t provide for our own security if we’re not self-sufficient. For example, if we don’t have our own steel industry, what are we going to do if the Germans cut us off? What are we going to do if the Soviets cut off the supply from Germany? So the American response to that, after a lot of arm twisting from Paris and London, was to create NATO in 1949. In fact, the State Department called NATO a military ERP, European Recovery Plan. And it was an essential component in the Marshall Plan. And I don’t believe that the Marshall Plan would have succeeded without those credible security guarantees. HAASS: I want to come to your third controversial argument. And it’s on the last page of the book before you get to the appendices and the like. And I’ll quote one paragraph, “The Marshall Plan is remembered as one of the great achievements of American foreign policy, not merely because it was visionary but because it worked. It worked because the United States aligned its actions with its interests and capacities in Europe, accepting the reality of a Russian sphere of influence into which it could not penetrate without sacrificing credibility and public support. Great acts of statesmanship are grounded in realism no less than idealism.” So the idea that the Marshall Plan contributed to Europe’s division in the Cold War, failed because it didn’t lead to American military withdrawal, and, third, was based upon an acceptance of the Soviet’s sphere of influence in Europe. STEIL: Yeah. We drew a line that was every bit as the line that Stalin drew, and that Churchill referred to as the iron curtain. One of the most poignant parts of this story is how we wrote off Czechoslovakia. They were the only nation, other than Germany, that was in play politically at the time. And the State Department made a very conscious decision to allow the so-called Prague Coup in February ’48, which was orchestrated by Stalin, to go forward, because they made a hard-headed, realist decision that they did not have the troops to defend it. So the Marshall Plan was based on the premise that everything to the west of this line—basically where the Soviet troops met the Western allied troops at the end of the fighting in Europe in World War II—that this is our Europe, and this is their Europe. And we defined success as defending our Europe. And we felt very badly for the people we wrote off on the other side of the iron curtain. HAASS: Not as badly as they felt, probably. STEIL: Not as badly as they—again, the most poignant part of this story is the Czechs, who were really desperate to participate in the Marshall Plan and be part of the West. And not only did Stalin stomp down on them and take away their freedom for generations, but we accepted it. HAASS: Two last questions before I open it up to our members and guests. If Benn Steil had been an advisor at the time in the corridors of power in Washington, D.C., would you have recommended with—say, with the advantage of hindsight, or if you had had 20/20 vision to the future, that the Marshall Plan in some way had been adjusted, amended, done differently? STEIL: Not really. And that not why—that doesn’t mean it was perfect. But it had a lot of bells and whistles that turned out to be totally irrelevant. For example, after the Marshall Plan was—went into the legislative process, then the economists took over. OK, then the military men are out. And all the Keynesian flavor started to infest it. And we imposed massive conditionality on all the aid. And basically, the French and the Italians knew that we couldn’t enforce any of them, because the only thing we really cared about was keeping the communists out of government. With our pressure, we forced the Italian and French communists out of the coalition governments in May of ’47, just before Marshall’s speech. And we made sure they never came back into government. And the French and the Italians realized that they could do whatever they wanted, provided they didn’t let the communists back. And it’s interesting because they went in diametrically opposed ways, and both of them recovered. The Italians were neoliberals. They pursued fiscal and monetary consolidation while the Keynesians in the State Department yelled at them to have a Monnet Plan, like the French. The French pursued their Monnet Plan, and the State Department yelled at them to do fiscal and monetary consolidation, like the Italians. We didn’t get any of that. But it turned out to be fundamentally irrelevant. That really, that $13.2 billion was a social stabilizer so that we could pursue these important structural reforms—these political and economic reforms without encouraging the people to turn to the communists. HAASS: Last question: Whenever there’s a big public policy challenge in the world, two metaphors—you can count the seconds before they’re introduced. One is the one you write about, what we need’s another Marshall Plan. Or, two, what we need’s another Manhattan Project. (Laughter.) Both are MP. What is your sense about the Marshall Plan as a model of public policy? Do you see it as something of a one-off? Or do you actually think it is a useful model for other political, economic, and strategic challenges? STEIL: I think it’s useful if we think of it broadly in terms of using our economic leverage. For example, if Cordell Hull were here today, FDR’s secretary of state, he would not be at all surprised to see that American political relations with Mexico have improved immeasurably. STEIL: Because of NAFTA, 25 years ago. That’s the sort of argument Cordell Hull was always making, that good economics make for good neighbors. He would be appalled that the United States was walking away from TPP. He would say: How could you abandon this gift? You have the ability to create regional and global norms with your allies, and turn that over to another regional power? HAASS: Cordell Hull was a wise man. STEIL: Cordell Hull was a very wise man. So I think it does have relevance. But if we focus just on the narrow aid aspect of it, I think we lose the thread entirely. For example, yesterday on Twitter I saw a tweet from a Democratic senator saying that our policies in Syria have been a complete disaster. We’re just headed for more death and destruction. What we need is a Marshall Plan—a big, multibillion dollar aid package for Syria. And if George Marshall, and Dean Acheson, and George Kennan were here today, they’d be shaking their head in disgust saying: I can’t think of a worse ground to try to implement an Marshall Plan than in a country at war like Syria. Just one more example. We’ve spent over $200 billion on reconstruction aid alone in Iraq and Afghanistan. Now to put that in historical terms, that is over 50 percent than all the Marshall aid that we spent in current dollars. And we have very little to show for it in terms of positive political reforms. And that’s because the security element is missing. The security element was fundamental to the Marshall Plan. HAASS: OK. I’ve run out of questions. But you have not. So let’s challenge the author. Yes, ma’am. Wait for a microphone, and stand up, and just introduce yourself very quickly. And we will—we need a microphone here in the one, two, three, fourth row. Yes, ma’am. If you could—oh, you got one. I’m sorry. I didn’t see that. Q: I’m Robyn Meredith. I’ve spent the last 15 years in Hong Kong, watching China. And I know you’ve written about the past, but if you look to the future what lessons have your learned about what potential future Marshall Plans we have? For instance, is China’s One Belt, One Road project now both looking not only for soft power but also the economic influence of the sort that you’ve described in the Marshall Plan book? HAASS: Sounds like China first. STEIL: (Laughs.) Very much China first. But of course, abroad they market it as being charitable, as being a version of the Marshall Plan. But there’s really no parallels to be drawn. Marshall aid was almost exclusively in the form of grants, not loans. That was a very conscious decision. The State Department had learned its lesson from the mistake of the 1920s and ’30s. You don’t need piling debt on heavily indebted nations. It doesn’t—just doesn’t work. What is China doing? It is making subsidized loans to countries that are of geoeconomic and strategic interest to them to build infrastructure that will be useful to Chinese industry, they hope. Now, given that these countries where they’re doing this investment do have access to private capital that is hungry for return, one can only conclude that China is not properly pricing in the risk. So, you know, it’s an open question whether they’ll really get any long-term diplomatic benefit out of this, but I’m quite certain that over the long term it won’t produce great economic dividends. Q: Hi. Charles Henderson, attorney. If you didn’t have the Marshall Plan, with all its problems of you raising—going into the Cold War and having NATO—what would have happened without it? STEIL: That’s a wonderful question. Certainly, that country that was most at risk of falling under Soviet influence was Italy, where the communist party was extremely powerful. And I should empathize that one of the big beneficiaries of Marshall funding was the new CIA. In fact, their most important early covert programs were in support of the Marshall Plan. 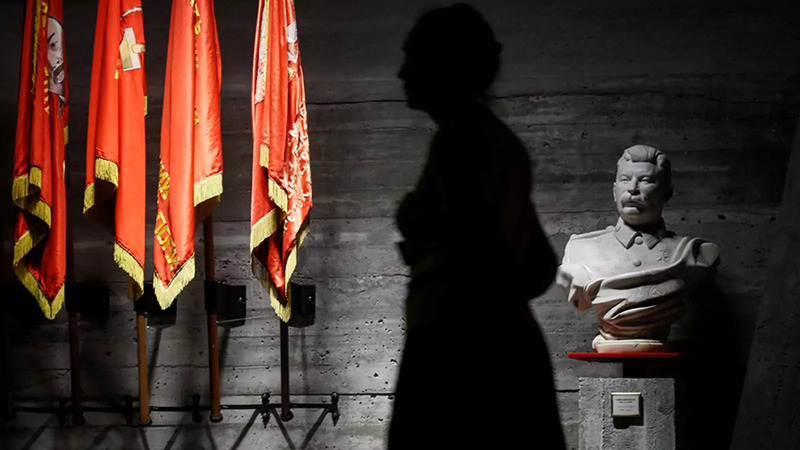 And the most significant of them was, shall we say, propaganda—massive propaganda in the April 1948 Italian elections, to make sure that the Christian democrats would be victorious and that the communists would not be. There’s no doubt that without the Marshall aid communist—the communist parties in France and Italy would have at least had to have come back into the coalitions. And of course, their aim was, eventually, to kick out the democratic parties and follow the Soviet line. HAASS: This side of the room—sure, sir. Q: Oh, I’m sorry. Philip Ellison (sp), Grapevine Development (sp). STEIL: Oh, yes, it was. Q: Oh, OK. I thought they were—their role was lower? Q: OK, well, but, in any case, what were the kind of built-in measures of success for the—you know, for the plan, as it went through Congress? I mean, it wasn’t just simply fiscal stimulus. It was—it was to actually do something and build things and, you know, produce some product that could be measured. And I’m just curious what that was. HAASS: That’s interesting. Talk a little bit about, yeah, the mechanics. To what extent did we fund everything the Europeans wanted? To what extent did we say, no, we’re not going to fund that. We disagree with it. Talk a little bit about how it worked. STEIL: We had a few aims. And some if it was absolutely ingenious. The most fundamental aim was to fill the so-called dollar gap. Europe after the war had minimal reserves of dollars, which were the only credible surrogate for gold, which was still really the foundation of the international monetary system. So they needed to be able to import strategic things for their industry. And it was extremely important in this regard. And it was done very cleverly, as to not to eliminate private initiative. For example, if a French farmer wanted to buy a tractor, the farmer would pay for that tractor himself. The tractor would be delivered from the United States. And the United States would deposit dollars into a lockbox, as it were. And then the French government and the United States would determine jointly—mainly the French government—how this would—money would actually be deployed. So that was the basic mechanism that was used there. But, and this is really quite fundamental, the United States had long-term aims that were very significant and hard to imagine in the current political context. We were Europe’s primary capital goods supplier after the war. We recognized that this was unsustainable. And so, we made a conscious decision to put Germany back into that role. So the idea is we will withdraw from Germany, we will rebuilt German industry, Germany will once again become the capital goods supplier for Europe, so they will not be drawing down their dollar reserves. And indeed, that’s exactly what happened. HAASS: So we basically subsidized the reemergence of Europe, which ultimately became something of a competitor, but also a partner. STEIL: That’s right. And one thing I talk about in the book, it’s really quite remarkable how the Truman administration drew American industry into the Marshall Plan. You know, the Soviets tried to make it seem—and a lot of revisionist historians—that this was some sort of boondoggle for American industry to take over Europe. Stalin was convinced that, of course, American capitalism was going to collapse. So you would have to give Europe the money to keep our industries alive. Nothing like that happened at all. In fact, the head of the Marshall Plan activities in Europe, Averell Harriman, was absolutely adamant, as was Paul Hoffman who directed the whole program, that this was not going to be a boondoggle. It was not a subsidy for American exports. The idea was to put Europe back on its feet and allow them to conserve their precious dollars to rebuild a global economy that would be balanced and sustainable. Q: In your—whoa—in your last comment you make this sound as if the government was highly strategic and with a relatively long-term perspective, which our government had tended not to be, I think, over time. Is it so, that they were strategic and as long-term has you have described them as being? STEIL: Yeah. I mean, one thing I certainly learned from the experience of writing this book, is that people really do matter. It’s not just broad historical forces, but—as you know, Bob, my last book on Bretton Woods, the main characters were not always up to the task. Henry Morgenthau, FDR’s treasury secretary, certainly not the sharpest tack in the box. Didn’t know anything about economics. Almost destroyed Germany and Western Europe with the Morgenthau Plan. STEIL: And Truman, for all his faults, was a wonderful delegator. He empowered good people, intelligent people with integrity. George Marshall, of course, but not just Marshall, Acheson, Kennan, Will Clayton, Charles Bolen (sp). There were people on the ground in Europe who were absolutely critical to this story, General Lucius Clay, the military governor in German, the diplomats on the ground in London and Paris were utterly extraordinary. And this is—this is a tribute not just to them, but to the commander in chief, who not only appointed them, in many cases, but empowered them to make decisions. HAASS: No, you know, the phase “the greatest generation” is used often referring to the military, but diplomatically it has never been equaled, even close. Q: Michelle Caruso-Cabrera, CNBC. Congratulations, Benn. Great reviews. One of the great controversies—economic controversies in Europe right now is Germany’s massive trade surplus, largest in the world. Are the seeds of that trade surplus here in the Marshall Plan? HAASS: Does he spell his name with one N? STEIL: (Laughs.) He does. What’s with that? (Laughter.) Working on a blog post now showing that the so-called doom loop in Europe, with weak banks stuffing their coffers with the government debt of weak sovereigns, and weak sovereigns backing them up, is actually in some direction—in some cases moving precisely in the wrong direction, particularly for Spain and Portugal. And the imbalances—structural imbalances are clearly part of this equation that will have to be addressed. Q: Thank you. Dan Rodgers, Watson, Farley & Williams. Would you characterize the forgiveness of German debt in the 1950s as a logical extension of the Marshall Plan? STEIL: It was critical—absolutely critical. And they—the Americans did it in such amazingly clever ways. For example, I emphasized earlier that the vast majority of American aid was in the form of grants. Not to Germany. All of the American aid to Germany was in the form of loans. But we never expected to get repaid. In fact, we were never going to ask for a dime of it back. So why did we do it? So that we could turn around to the French and say: You keep banging on about wanting reparations from Germany. Nobody gets paid back a dime from Germany, until we get paid back. (Laughter.) Since we are never going to get paid back, you have a choice. You can keep banging on about your need for reparations, or you can take the money from us—the real deal, the cash that’s right in front of you. But if you take the cash, you will have to buy into the integration agenda. No one would trade with Germany after the war because they owed everybody so much money that you wouldn’t extend credit to Germany. So what did the United States do? It created the so-called European Payments Union. This was a brilliant mechanism that got Europe trading with each other again. The U.S. underwrote it with $350 million of Marshall aid financing. It’s worth about 3 ½ billion (dollars) today, and basically underwrote all the trading in Europe. So all of Germany’s previous debts were totally irrelevant, because you could now sell goods to Germany on credit. And if Germany didn’t pay back, the United States would be stuck with the bill. And the United States was never stuck with the bill, as we know. Germany recovered very rapidly and very successfully after the war. And it owes much to this American ingenuity. HAASS: We got time for one last question. Yes, sir. Q: Thanks. Juan Ocampo. Benn, thank a lot. Great book. I want to follow up on Bob Rubin’s question a little bit here. You’re describing some really clever things that Americans are doing here. And it’s not just the people at the top. It’s not just George Marshall and people like that. Are there any things that we can learn from that in terms of how we were able to unleash our, if you will, deep state back in those days, that we’re not doing now, that—you know, how to do a little bit of that, if you will? Any lessons learned? STEIL: I wrote a piece in Foreign Affairs recently on this issue. I think the most important lesson that we can learn from the Marshall Plan is that alliances really do matter. The idea after the war was that we needed to create a belt of strong, independent, sovereign, democratic, capitalist allies in Europe, and then we took that plan to Asia, in order to leverage the power of our moral authority in the world after the war. After all, we were the ones standing up for democracy and freedom and free enterprise. These were—these were values that people aspired to all over the world. So we were not trying to create colonies, like the British were. We were not trying to create tributaries. We were trying to create strong, sovereign, independent, democratic nations that would remain our friends through thick and thin. And Senator Henry Cabot Lodge, Jr. had written to Vandenberg in 1948 a really prescient letter in which he said: You know, the aid that we’re dedicating over the next four years—he said, this will pay us dividends over the next 25 to 50 years, because we will have real friends. And we saw how right he was in 1989 when the wall came down, and the Soviet alliances crumbled overnight. Nobody wanted to be part of them. Whereas our alliances, NATO and, of course, the European Union, which was an offshoot of the Marshall Plan, were as strong as ever and compelling as ever, even after the enemy had disappeared.